Although this is not our favorite phone, there are people who like the U740 and its dual-hinged design that allows for using it as either regular clamshell or as a phone with QWERTY keyboard, once you open it side-ways. But one of the things most people don’t like about it is the light color of the housing, which is the only one Verizon currently offers. 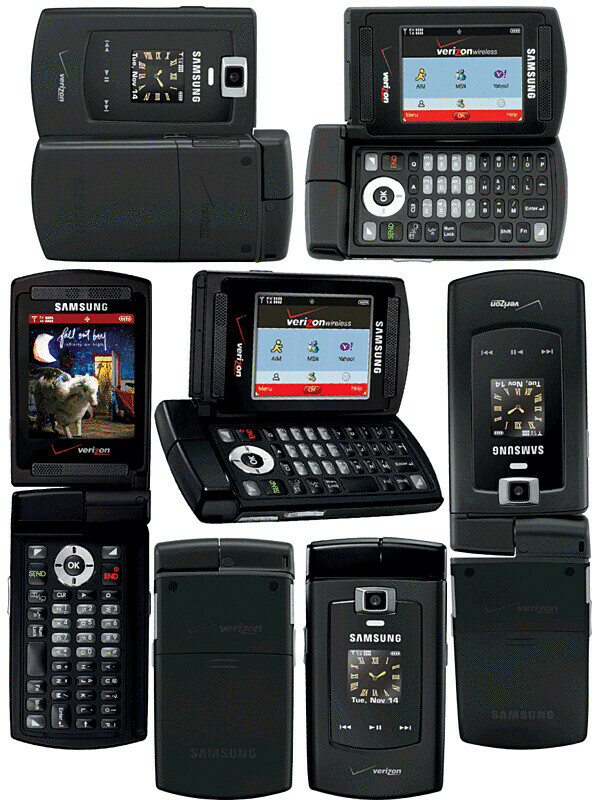 This will end soon, as the CDMA carrier is preparing an all-black colored version of the Samsung U740. Otherwise identical in specifications and hardware, the black U740 should be available soon as it already appeared on the Verizon Testman site. FINALLY! that champagne was good ugly and should never be used on a cell phone again. That ugly gold or w.e had to go thats what was holding me back from getting the phone THANK YOU SOO MUCH IT LOOKS SOO GOOD ALL BLACK!! Its about time, that cheezy sugar cookie off white eggshell metalliac white nasty krispy creme color needed to go. Does anyone how long it will be before they hit the stores. Is soon six months or 6 days. im getting this as soon as it reaches the store. their going to call me. =]. i should just be a FEW DAYS! I went to the Verizon Store today and heard that I might be able to get one tomorrow! IT"S OUT!!!!!! ORDERING THE NEW BLACK VERSION FROM VERIZON"S STORE RIGHT NOW! FINALLY! I ordered it yesterday, to be delivered tomorrow. Yeah buddy. I got mine on the 15th - it's such a great phone. Looks amazing in the black! I just heard about this phone today and ordered the black...everything i want in a phone mp3 player, slim, small, keyboard. This will be on record as champagn is the worst color verizon chose. Color makes and breaks phone dales...wow. I went to a Verizon store (after purchasing the black one the day it came out) and was wondering "I know its going to happen..but when will the Pink Samsung u740 come out?" The rep told me "during this year probably..." I want a pink one..yes i'm a girly girly..